Fort Worth — I’m at the second annual Fort Worth Fringe Fest, which is two days of this Labor Day weekend at the Fort Worth Community Arts Center. I’ll try to update this report as often as possible with reviews and thoughts about the event, which features nearly 20 performers in the disciplines of theater, dance, improv comedy, poetry/spoken word, music and film, mostly from North Texas but some appearances by groups and performers from Midland, Snyder (northwest, closer to Lubbock), Austin, and Houston. The Houston entry is last-minute, with musician Bradley Dean Whyte, an evacuee from that city’s devastating flooding in the wake of Hurricane Harvey. He drove north right after Harvey hit, before the flooding started, and is staying in Arlington. He found out about the FringeFest and contacted Dennis Yslas, the executive director of Texas Non-Profit Theatres, which co-produces the FW Fringe with the Fort Worth Community Arts Center. Whyte was looking to volunteer or help in any way, and Yslas asked him if he could put together a show. Thus, Whyte’s The Flood Mixtape will be performed today at 6:45 p.m. in the Scott Theatre. He’ll also help out on Saturday throughout the Fringe. By the way, the national organization The Artists Safety Net has set up a special page to help artists in Houston and South Texas. The Hurricane Harvey Recovery page is at https://cerfplus.org/news/cerf-response-tropical-storm-harvey/. The headliner in the Scott Theatre on both nights is Upstart Productions’ Lenny Bruce is Back, starring Joey Folsom as the groundbreaking comedian, with warm-up stand-up comedy from Paul Varghese. I have seen the show twice in Dallas, so in the interest of catching more Fringe shows, I won’t see it in Fort Worth. It’s another powerhouse performance by Folsom, although the play is probably not what you’re expecting. The rights to Bruce’s jokes aren’t available, so you won’t get them in this show. But Folsom gives some insight into the man and his mythos. 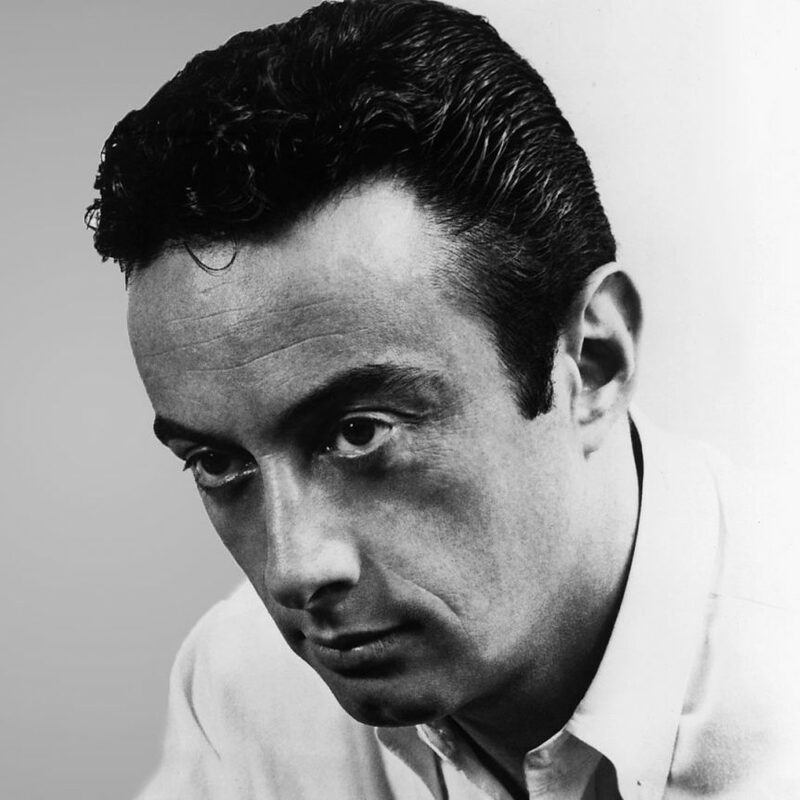 Also, the Fringe is encouraging support for the Lenny Bruce Foundation, which combats drug and alcohol addiction through education and scholarships. It’s been a while since I’ve seen actor Chuck Huber on stage, who used to be a regular on DFW stages but has lately focused his time in the local voiceover world, which pays a lot more and allows many actors to support themselves. What a vehicle to see him in. The late Sam Shepard wrote Killer’s Head in 1975, a play featuring a man about to be executed in the electric chair. Brainstorm’s production, directed by Theresa Furphy, is the only Fringe show happening in the Vault, a basement space at the FWCAC. Visitors (the audience) gather at a meeting point by the entrance to the Sanders Theatre, and are given a set of instructions (don’t speak to the inmate, no photographs, etc.). We’re then taken down a flight of stairs with concrete/cinder block walls and have to sign in with a clerk and are given a visitor’s badge. Then it’s a walk through a large storage area and into the execution room, where a large, ominous electric chair sits empty. A guard (Dan Archibald) escorts Mazon (Huber) through the audience and into the chair, strapping his arms and legs in, wetting a sponge and placing it on the inmate’s head, between the skull and the electrified headpiece. All this time, Huber is silent with an expressionless face. For 10 minutes, he speaks about the truck he was going to buy, his horses, and other thoughts that swirling in his brain. We never know his crime or his thoughts on being executed—except for a moment toward the end of his speech as he body tenses up and his face becomes red, as if he’s expecting the inevitable to happen at any time. Then it does. The lights flash, and it’s over. The visitors are escorted out. This is a fascinating, immersive show that’s tailor-made for a fringe festival—Fort Worth hasn’t seen anything like it in the 20 years I’ve been covering the scene. Make sure you see this one. » Killer’s Head is also performed at 6:15 and 9:45 p.m. on Friday, Sept. 1; and at 2:15, 4, 6 and 8 p.m. on Saturday, Sept. 2. Click here for ticket information. Austin-based playwright, director and actor Jesús Pantel has a show of poetry, but unlike what usually happens in poetry performance, it’s not his work. Instead, he curated poems and song lyrics that speak to the “voiceless…which society chooses to ignore.” The selections include works by Maya Angelou, Rumi, and the Dalai Lama. » Anthem of the Estranged is performed in the Scott Theatre at 9:50 p.m. Friday, Sept. 1; and 9:50 p.m. Saturday, Sept. 2. Whyte and his wife drove from Houston after Harvey hit the coast on Saturday, and are staying with friends in Arlington. In this 20-minute set, he sings his own songs and plays guitar, beginning with a haunting song describing the hurricane devastation. “All the superhighways have disappeared,” he sings. From there, his between-song banter is engaging, and the songs are evocative and occasionally funny, as he sings about contradictions, friends and family, and ends on a dystopian note. It was only performed in one slot on Friday, but he’ll be hanging around the Fringe Fest on Saturday. So far, this is one of the highlights of the FW Fringe. Jude McCoy and his ensemble for this piece, Rose Kotopka and Beth Bowen, as well as composer Kevin Day, are alumni of Texas Christian University. This is my first experience with McCoy’s work, and I want to see more. The three dancers work in a horizontal space towards the front of the stage, and play off each other’s movements. In the first half, there was a lot of stillness and small shifts in body motion; and toward the end there it was more high-energy with stunning geometry and trio work as the bodies interlocked and bounced off each other in striking shapes. It had moments that felt improvisational, but overall, it looked inventively choreographed. That’s no small feat. » Abstract Dance in One Part repeats at 4 p.m. Saturday, Sept. 2 in the Scott Theatre. I’m probably going to catch it again. EllaBeth Bontley Bando has been an acting coach in these parts for decades, and teaches seminars on spiritual growth for artistic souls. She has also worked on many area stages, and performed this show at New York’s United Solo Festival in 2013. It’s composed in three sections with three characters, all with observations about the end of life’s journey. In the first section, “Jackie” (inspired by Dr. Raymond Moody’s Life After Life), she is hospitalized and facing a daunting surgery, and keeps hearing a presence talking to her. In “Cathy, from California,” set in the late 1980s, she is an ICU nurse who takes on a special-needs, immune system-compromised baby who lost his mother, until funding is cut for the program that allows her to do that (it’s inspired by an article in Life magazine called “Mother Love,” by Jan Sonnenmair and Barbara Maddux). In “Sam and Sun Dawg,” she describes the oddly shaped rainbows and balls of light she keeps seeing. She breaks the momentum with an added section between the second and third scenes, in which she is herself, EllaBeth Bando. She ruminates on women’s roles in the origin of the art form we know as theater, raising your voice in spiritual surroundings, the science behind a cat’s purr, acupuncture, meditation, and finally, a sound experiment that involves harmless audience participation involving chimes, gongs and a singing bowl (I was one of the participants at this performance). My take on the show’s title (“acet-o-philous” loosely translates to “vinegar love”) is that it refers to the metaphorical acidic compounds in the mixture of life, love and death. They’re all vivid characters (with costume changes between scenes), with thought-provoking perspective on a concept that humans have written and speculated about for millennia. After all, death is one major thing that all mortals, human and animal, have in common. » Acet-o-philous or Vinegar Love repeats at 5 p.m. Saturday, Sept. 2 in the Sanders Theatre. Jocelyn Tiner’s improv outfit has been performing in North Texas for six years; this is my first time to catch them. Tiner plays host and the performers rotate throughout the Fringe. On Friday, I saw Sherry Etzel, Laura Jennings, Martin Mussey, Ken Pursell and sound guy Daniel Tiner. This company focuses on short-form improv games, using audience suggestions submitted before the show and audience prompts during it. Friday night’s audience was small (hopefully the Fringe audiences will be bigger on Saturday), but threw out good prompts. Jocelyn is an engaging, funny host with a good sense of when to stop the action, or help out. As with most improv groups, there’s a mix of skill levels—which could also depend on the specific performance seen. In general, the women fared better than the men on Friday. My favorite game was the bit in which audience suggestions set up the old joke “two _____ walk into a bar…” and the improv players had to play stand-up comic. The best punchlines consistently came from Etzel, Jennings and Jocelyn Tiner, with a mic-drop-perfect one from Daniel Tiner in one of his few moments to step into the spotlight. » The J.I.M. Experiment repeats at 6:15 and 10 p.m. on Saturday, Sept. 2 in the Sanders Theatre, with different ensemble members in each. As the title suggests, it was compilation of short films that are two minutes are less, which would seem to be more popular in the age of Instagram and YouTube. There’s a mix of animated and live action, some narrative and others abstract collections of images or animation. Love that it was on a large screen in the Scott Theatre. One of my favorites was Cube, an animated film about a boy in art class who is not happy with the assignment of drawing a simple cube with shadow, but goes an imaginative extra step. Of the two poets, Susan Campbell Maxwell didn’t seem to let the lack of audience bother her. She had a lovely poem about Hurricane Harvey, a very visual work about imagining being in a Dutch painting, and a fun piece inspired by a photograph of a boy in a large dinosaur track in Glen Rose. Her reading was impassioned. Longtime Fort Worth poet Susan Vogel Taylor seems somewhat flustered, however. Her prose-like poetry is rich in imagery, especially one about trickster god Kokopelli, about “wasting time” writing poetry when there is much else to be accomplished (kind of like spending too much time on social media), and a poem in which a walrus in a London zoo that was rumored to be the inspiration for the Beatles’ “I Am the Walrus” led to a thread about hanging with John Lennon. Music and sound effects accompanied the readings, and as was a bad trend in the Sanders Theatre in Saturday, some of it was too loud. As was pointed out by director Joanna Yarrow in her curtain speech, this piece is still in development. As a stunt woman, Lisa Loving Dalton has had some highs, such as being stunt double for Meryl Streep (Still of the Night), Cher (Suspect), Darryl Hannah (Splash) and Madonna’s True Blue-era stint on Saturday Night Live. This despite that some warned she would have a hard time in the biz because of her large breasts. Those are one of the meanings of the title of this solo show, Big Bumps. It also refers to the physical bruises sustained by being a stunt woman, and the mental bruises of thinking she’s not good enough because of a sexual assault in college, as well as abuses in a sexist industry. She has a lot of great stories to share (some with terrific video and and media designed by Charles Bowles), with a strong opening and closing related to her rappelling down a cliff for one of her final films. The middle could be streamlined, but I like the organization, the roller-coaster ride of raw emotions with the thrill of what some think would be an exciting job. The sound levels in the Sanders were at their worst with this show. The music was way too loud and often covered up her dialogue. As noted, this is a work in progress—but sound levels should have been worked out in tech—and this was the second performance of this show at the FW Fringe. Dalton wanted to be a legit actress, and her excitement about Jerzy Grotowski and physical theater adds another layer to her fascinating life story. “Maybe I’m just born to crash into things,” she says early on. Big Bumps is an interesting idea that has much to say about destiny and how life is what you make it, but also how others perceive and treat you on that journey, for better or worse. Can’t wait to see this piece after it has been fully developed. I’m one of those people who rolls his eyes at the thought of a mentalist. I dig innovative magic (such as Penn and Teller) and am a big fan of its theatrical cousin, the art of clown. But a mentalist? Those people who claim to understand you by looking into your expressions and body language? Eh. Price, with his tall hair, came kind of close to making me a believer. Partly because he was genuinely funny and wasn’t embarrassed to admit when he hadn’t made a correct guess with some audience members. But his percentage of getting it right was very high. Maybe I’ll see more of him at some point. I didn’t attend last year’s inaugural FW Fringe, and was impressed with some of the works in this second installment, especially Killer’s Head and Abstract Dance in One Part (as well as Lenny Bruce is Dead, which, as noted above, I’ve seen twice but not at this event). But I’m concerned about the small audiences for much of the fest. This could be a mix of having the event on Labor Day weekend, and also the local gas shortage scare resulting from Hurricane Harvey. Personally, I think the biggest culprit is ticket prices. For such a young, not-yet-established event, the FW Fringe is way overpriced: $105 for an all-festival pass, $85 for 10 shows, $50 for five shows; or $20 per show. More established local arts festivals, such as Dallas’ Festival of Independent Theatres or WaterTower’s Out of the Loop Fringe Festival, had max festival passes in the $60 to $70 range, and that’s after more than a decade of establishing themselves as must-attend events with two or four weeks of arts-going opportunities. At Loop (which has morphed into something else under the theater’s new direction), many of the individual shows were $10 at the most. Twenty bucks seems especially expensive for shows that last only 20 minutes, such as the presentations by Lone Star Film Society and the Fort Worth Poetry Society. The FW Fringe has to figure out how to cut the festival pass price by at least half (but really more) and then it might attract a bigger crowd of attendees excited to attend a festival, and not just one event because their friends or family are in it. Maybe charge $20 for the headliner (Lenny Bruce in this case), but $5 to $8 for the others. Start small and build that audience.